We have a significantly high incidence of low back pain (LBP) in our society, and it accounts for over 50% of complaints in a physical therapy office. There is a plethora of research investigating the most effective interventions for LBP, however, the evidence remains largely inconclusive on how to best treat it. One proposed explanation for the lack of consistent evidence is that it is commonly treated as a homogenous condition, meaning, it is assumed all back pain is the same. Leading researchers in physical therapy are finding that all low back pain is not the same, and each person and episode needs to be evaluated and treated differently. If you’ve been trying one approach to managing your back pain that doesn’t seem to be helping, there may be a reason why. Currently, the literature suggests four subcategories of LBP, which all require a somewhat different approach to treatment. 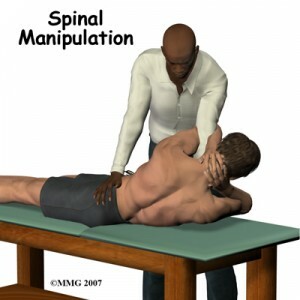 The four categories are: Manipulation, Stabilization, Specific Exercise and Traction. Thus far, the Manipulation category has been the most extensively researched, so I will begin here. Manipulation is defined as a high-velocity low-amplitude thrust that is applied to the spine. Current studies show that a person who reports recent onset of symptoms (less than 16 days) and who does not have symptoms radiating past the knee is highly likely (95%) to have at least a 50% reduction in symptoms with manipulation. There is a slightly increased chance of success (97%) if that person also meets two other criteria involving hip mobility and low fear avoidance. When the specific factors are not present, the likelihood of success reduces to 9%. What’s more, the evidence now suggests that treating an episode of back pain in that early 16 day window reduces the likelihood that a patient goes on to develop chronic lower back pain. So please call or email us if you have an acute episode of back pain so we can get you on the right track quickly! I’ll be posting blogs on the other treatment categories over the next few weeks, so please stay tuned! And remember, no matter how long your back has been bothering you, there’s a lot that our expert physical therapists can do to help. Call or e-mail CoreBalance to schedule an evaluation with a physical therapist so that we can determine the best approach for you! How “Aware” are You about Brain Injury? Perhaps you have been following recent national news on the impact of concussions on athletes. Perhaps you too are troubled by the staggering number of veterans returning from the wars in Iraq and Afghanistan with brain injury. Maybe you have a loved one affected by Traumatic Brain Injury (TBI), Aneurism, or Stroke. Perhaps you are one of the 3.5 million Americans living with a disability from acquired brain injury. 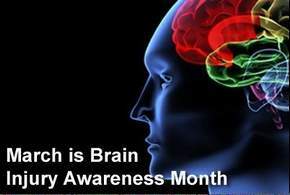 March is the month: Help Raise Awareness of Brain Injury. Awareness and education lead to injury prevention, as well as improved outcomes for those living with the effects of brain injury. Please, post this flyer at your work place! Every 21 seconds, someone in the United States sustains a brain injury. In 2010 alone, over 60,000 people were seen in Arizona hospitals for TBI. Falls are the most common cause of TBI. Motor vehicle accidents are second. Higher-risk groups: children birth to four, seniors, youth ages 15-19, military personnel, and Native Americans. The Invisible Injury: Disabilities from brain injury are often not noticeable to the eye. Additionally, mild Traumatic Brain Injury (mTBI, concussion) does not show up on medical imaging, such as MRI scans. Because of this, individuals may have their lives changed by brain injury, yet go undiagnosed for years. Recovery After Brain Injury: Physical Therapy is Key! A physical therapist skilled in neurological and vestibular rehabilitation can develop a plan of care to address these symptoms and help the person regain maximal functioning and quality of life. (928) 556-9935; or email [email protected].